Help the indigenous native find his home. But be careful as you travel through the rainforest. This circular labyrinth can be tricky. 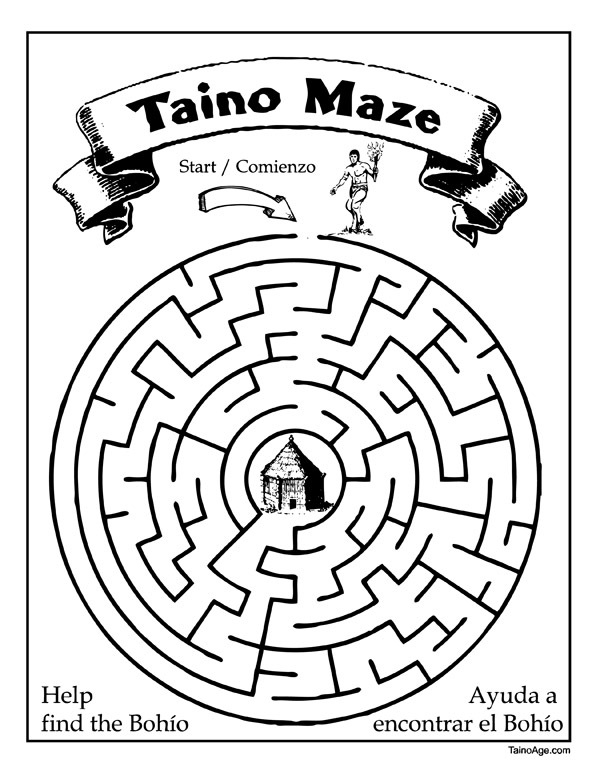 This printable maze is in both English and Spanish. 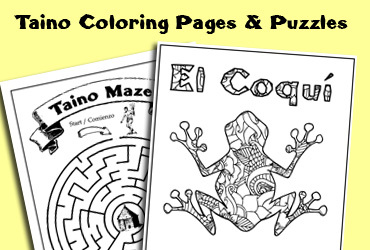 Explore another time and place with this fun maze from an ancient Taino civilization. Help him find his “Bohio” hut. Bohios were made from wood and tied with vines. For the roofs, the Tainos used palm leaves. The differences between a bohío and caney is the the form and size. Bohios were round while the caneyes were rectangular, wider and usually better built. To download this free printable maze, just use the download button. The file format is a PDF and can be printed from any inkjet or laser printer.